The hero of Angry Birds is Red, who, as you might guess, is an angry bird on an island of happy, carefree, and flightless birds. Distinct in both temperament and appearance (he’s often mockingly called “eyebrows”), Red is a loner, working a job he hates and living far away from everyone else. After unloading on a customer, he’s sentenced to anger management training. Everyone laughs at him, and for his part, Red seems frustrated and contemptuous of the silly birds he’s surrounded by. One day, a ship arrives carrying two pigs. The ship inadvertently destroys Red’s beachside house, but no one cares because no one likes him anyway. The pigs bring news of a world outside the birds’ island. While Red is suspicious, everyone else is excited. The judge on the island (who is more or less the leader), declares a great celebration, and the pigs charm the birds by displaying their inventions, including a giant slingshot and a pyrotechnics show. A suspicious Red sneaks aboard their boat and finds there aren’t just a few pigs – there is a whole population. When he tells the other birds about this, he is accused of shaming the entire island with his suspicion. The pigs put on a “cowboy show” with dancing and music and are eagerly welcomed by the birds as once again everyone turns on Red. The pigs become a part of the island’s life, with their leader forming a friendly relationship with the judge, and the pigs building various entertainments to make the birds happy. Red is more isolated than ever. He embarks on a quest with Charlie and Bomb, two birds he met in anger management training. They seek Mighty Eagle, the legendary protector of the birds’ island, whom many people believe is a myth. After a grueling journey, they find not a heroic protector, but a fat, vulgar, and vain bird who is literally introduced to them (and the audience) taking a long piss into the Lake of Wisdom. Instead of providing guidance, he simply brags about how great he is. In disgust, Red hurries back to save the village himself – though Mighty Eagle’s knowing smirk as he runs back suggests the hero’s vanity may have just been part of a strategy to get Red to take action. It turns out the pigs are only visiting to steal the birds’ eggs, which they do while everyone is distracted by a dance party. They steal the eggs, which is to say, the birds’ children, and take them back to their home, though not before blowing up the birds’ homes with explosives. Heartbroken, the birds turn to Red, whose anger and suspicion has been vindicated by events. Red teaches them it’s ok to be angry. The birds sail to Piggy Island, where, using the giant slingshot, they fling themselves over the walls at the pig’s castle to rescue the eggs in a manner familiar to those who have played the game. With the help of the other birds and the returning Mighty Eagle, who drags himself out of retirement to fly the eggs to safety, Red saves the day. The story ends with the much wiser birds reunited with their children and Red a treasured part of the community, honored for saving the future of his society. But the evil leader of the pigs still plots at Piggy Island, suggesting a sequel is on the way. Fairly straightforward, but shocking. What you’re probably expecting is some great moment where the two cultures come to an understanding. Perhaps the leader of the pigs doesn’t know the eggs are literally the children of the birds. But the king, first introduced as “Leonard” and actually (I swear I’m not making this up) “King Mudbeard,” knows exactly what’s he’s doing. When Red screams at him he can’t eat eggs, the king tells him he can’t be blamed, after all, he’s a “foodie.” Don’t judge other cultures! The moral lesson of the movie isn’t that we should tolerate other cultures or that we are all the same under the skin. Instead, it’s that we should be suspicious of Ausländers and that some groups are simply enemies, full stop. It’s hard to avoid the idea the movie is simply a giant metaphor for the European refugee crisis. A spoiled island of happy birds doesn’t recognize the threat of interlopers. The island (Europe) is supposedly protected by a giant eagle (America), but the eagle is fat, lazy, and disconnected from what’s going on. The pigs (perhaps a deliberate insult to Muslims?) are lecherous, seem to be all male, and also arrive with tons of explosives. And King Mudbeard is sporting a very Arab looking beard. Red, the suspicious right winger, is persecuted by his own leaders and told “no one cares about your opinion” by the other birds, who are eager to welcome the refugees and party with them. The pigs lounge around the birds’ island, even breaking into people’s houses and using their stuff. No one in charge seems upset. But though they arrive asking for mercy and tolerance, the pigs end up using terrorism and mockingly thank the birds for their “hospitality” as they flee with the eggs. The West, uh, the birds and the eagle, only reclaim their future through militant action, reclaiming their identity through combat. In a “blink and you miss it” moment, there’s even a Coexist sticker on the van one of the birds drives, with the peace sign turned into a pig’s nose and the Star of David rendered as a knife and fork. And this is the van a bird has to drive into Piggy Island to save some of his friends. War – war never changes. Indeed, there’s a kind of larger Narrative about overcoming decadence. None of the birds can fly, and it’s suggested that this is something they have somehow lost. The birds have no predators or enemies, so they have no reason to learn to fly or fight. Besides, there’s always Mighty Eagle. Instead, they spend all their time talking about how happy they are. The “maximum punishment” under the law is sending people to anger management training, so anyone who finds this way of life unsatisfying is actually pathologized. The judge, the leader of the community, is a tiny pompous bird standing on top of another concealed within a large robe, showing the weakness and vanity of current political leadership. The anger management training is mocked as showily “exotic” and absurd, led by a caricature of an unstable, SWPL woman who surrounds herself with weird Eastern statues and “modern” art to fill the cultural void. Indeed, the film could be taken as a critique of modern feminism. As some angry feminists have noticed, it’s men who save the day. The female birds are initially attentive to their eggs and to their roles as mothers. However, when they are given a pleasurable alternative, that’s what they choose. The “cowboy show” that first entertained them is a thinly veiled stripper show. As the pigs steal their eggs, the birds, especially the women, are out clubbing, listening to dance music and being titillated by the advances of the lascivious foreigners who have contempt for them. It’s only after their eggs are stolen that the females are reawakened to their roles as mothers, and then they (literally) hurl themselves against the enemy. Of course, there is another reading. Red is unhappy because he’s a loner. There are a number of scenes where Red looks longingly at happy families or couples on dates, knowing he can never have this. So his inability to form a relationship, either with male friends or a potential female companion, manifests as a kind of superior self-image. His anger is selfish and self-destructive. He sighs at the absurdity of everyone, but if he had a girlfriend, he’d be just as happy to party. Indeed, at the end of the film, Red is living within the village again and is actually friends with Charlie and Bomb, suggesting he’s not so angry anymore. If there was a “bluepill” reading of the film, this is it. But it’s unconvincing. A few hints suggest there is more going on to Red. During art classes for example, Red is making heroic sculptures of his hero Mighty Eagle while everyone else is making more “modern” art. When the pigs turn the peaceful community into a hub of noisy chaos, it’s Red who is troubled while everyone else seems delighted by the new pleasures to experience. When Red is savaged by his community for expressing suspicion of the pigs, he seems honestly flummoxed by everyone else’s reaction. It’s Red who openly questions the judge’s morality, asking him bluntly why exactly it’s so great that pigs who are so different from the birds have come to the island. It’s Red who expresses belief in the literal reality of Mighty Eagle and who seeks him out while everyone regards him as ancient history or a tale to amuse children. Red has a higher value system and is alienated from his degenerate community because of it. Red, The Bird Against Time. Many nationalists can relate to this. The in-joke among Alt Right types that we just stare at a computer all day alternately being angry or watching anime reflects something that’s partially true. If you see a fundamental problem with your society, you are, by definition, somewhat off. You’re not Ted Cruz tier, calling a basketball hoop a “ring” in front of an appalled crowd, but you’re still alienated and not really a part of the culture like everyone else. “Normies” who see no problem with foreigners replacing their entire society as long as they can still go clubbing and think it’s weird if you aren’t showily happy all the time are fundamentally different from us. That’s why so many nationalists jokingly say if they could go back in time, they would take the blue pill. But once you’re woke, you’re woke. The challenge is, as Red learns, to use that anger and motivation productively instead of just making yourself and everyone else around you miserable. There’s actually a moment of real pathos when after the eggs are stolen, the judge turns sadly to Red and says, “We need a leader.” For the first time, the outsider Red is now part of the community because when there is real conflict, you need someone actually willing to speak and act on those ugly truths so long ignored. Absurdly, I couldn’t help but think of George Lincoln Rockwell’s tragic belief that he would somehow get his family back if he won a political victory. In a reversal of the usual pattern of movies like Shane or The Searchers, the hero’s struggle actually makes him a part of the community rather than continuing in exile. It also means that if the pigs had never come, Red would still be alone, unhappy, and despised. So now that I’ve managed to bring up GLR in a discussion of a kids’ movie, the real question – will the children like it? Absolutely. There’s more implied vulgarity than some parents may be comfortable with (“cluck my life” says Red at one point) and some crude jokes (Mighty Eagle’s long piss). But there’s no outright cursing and the more adult jokes (the pigs have a copy of a book called “Fifty Shades of Green” for example) will go over the children’s heads. There are enough silly sounds and comedic bits for the little ones and enough sophisticated humor to keep you interested. Purely as entertainment, it’s just fun for both adults and small children. And some moments, like when Red saves the small birds, are genuinely touching, without being too syrupy sweet. And this little animated lesson has an important lesson for everyone. When you are faced with a threat, you defeat it, rather than taking refuge in pretty lies. It’s something little kids seem to understand, even if so many of our own rulers seemingly don’t. Sometimes, anger is ok. Sometimes, anger is necessary. And sometimes, it’s even okay to hate. 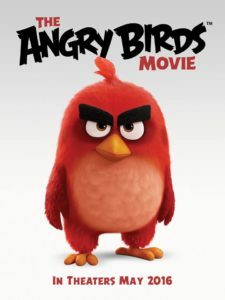 Published: May 23, 2016 | This entry was posted in North American New Right and tagged Angry Birds, cartoons, feminism, Gregory Hood, immigration, movie reviews, North American New Right, originals, The Angry Birds Movie, video games, war, white dispossession. Both comments and trackbacks are currently closed. Thanks for the review. I could never have guessed to see this movie on C-C. Angry Birds is pretty popular With my eldest and after reading this review I now know that that is not a bad thing. Even the hero Red, looks like a red pill! My 4 year old and I loved it. I have not been to a theater in 10years. I now compare good people to angry birds and not good people to pigs. Red pill – kids size. Very nicely written review, by the way. This sounds promising. I don’t have the time or the interest in following happenings in the pop culture, so I’m very careful about not letting my children watch anything not vetted by CC. In this respect the pigs remind me of a certain non-Muslim ethnic group. If I had to guess, I’d say that the filmmakers likely are hard-core neocon Likudniks who see Red as Netanyahu (or that Liebermann guy), and the premise of the film is, Israel should murder even more Palestinians and bomb even more Arab nations, to “defend” itself from people foolishly trying to stop the realization of Greater Israel and retain their homelands. However, what the filmmakers might not have realized is how well this film would work as a metaphor for Europe, with its refugee crisis. I never let my children see any childrens entertainment produced after 1980. But after reading the review on TRS of this movie I took my oldest son to see it, and we both loved it and laughed all the way through. It also provided and still provides a great opportunity to go back over the narrative and talk about how the protagonist was right all along to be sceptical et.c, and how he was met with stigma from the less imaginative and passified lot. Its a fantastic allegory how the pigs get the birds to be preoccupied with hollow entertainment while they literally rob the birds of their future and coming generations, blowing things up in the process. I think this is as alt right and effective as it gets. When it gets out on dvd I´m gonna make it a reoccuring event in my house for the light entertainment, and I´m even going to pay for it. Has anyone taken a look at the producers and the writers? What % non-gentile is this film. So there still are new mainstream movies that actually side with us. This is good news. I will get the movie and show it to my child when I will have one. The future (and current) parents among us need to have a list of decent movies and toys, as to avoid the SJW and soulless globalist stuff. I recently saw this film, and I think Mr. Hood’s write up of it here is pretty on point. The message behind it is surprisingly healthy for a film based on such a large franchise. There’s been mumbling about this film in our circles for somef time ( Radio Free Skyrim talked about it back in March) but I was worried that the film would take a turn towards the end and there would be a leftist finger wagging ending. I’m very glad to say that this is not the case. 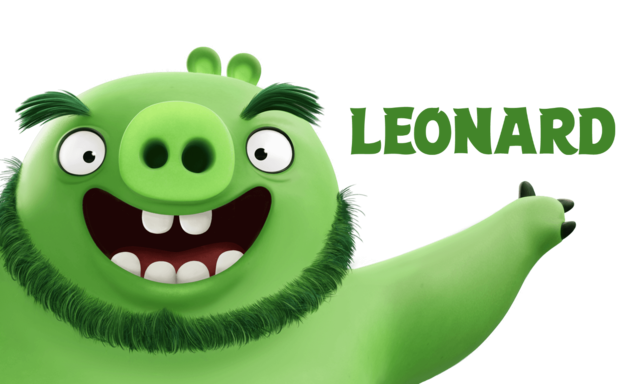 Also, I could hardly believe my ears when “Leonard” announced that his name was King Mudbeard, so I’m glad to have confirmation that I heard that correctly. I still don’t understand how a smartphone app got made into a movie, nor do I understand how such a pro-xenophobic (ie xenoskeptic) script was approved. If you swapped out species for races, this movie would be considered more infamous and horrible than Birth of a Nation. We must secure the existence of our eggs and a future for bird children. I think we were lucky with this one. The premise in the game (as far as I can tell) is that the pigs have stolen the bird’s eggs and the birds are after them for that. When that concept was expanded this is what was made. It’s because it’s a movie based on a goofy smartphone app, with such bizarre species, that this story was approved. It it the perfect vehicles for this message. One of the ways the emerging Nationalist Right has failed so far is the lack of subversive propaganda coming from OUR side. The leftists will see the message gotten out here, and you can count on Angry Birds 2 being pozzed trash. But, Nationalists have to start getting these ideas to children ASAP. I’m working on a series of coloring books to do my part. Angry Birds is Finnish. It would appear that the spirit of Mennerheim is alive and well. As for how it got past the cinematic gatekeepers… ?? ?